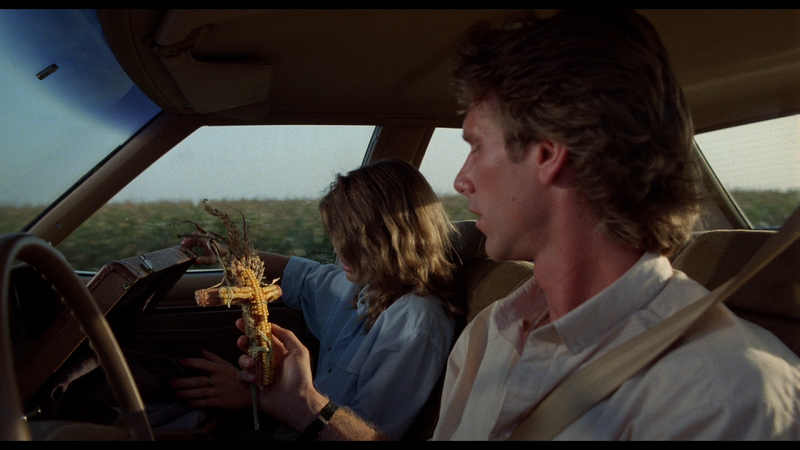 Children of the Corn is a fondly remembered film, but I can't understand why. The does tell a simple story that people can remember, and there are a few characters that are memorable, but the film just isn't that good. I guess everyone has to have that film that they watched as a kid and loved. 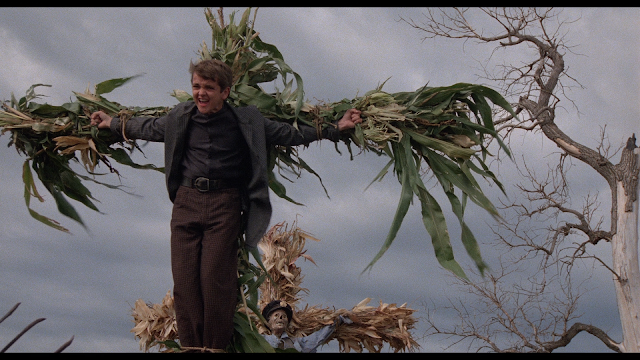 Children of the Corn is not that film for me, but it is for others and that is fine by me. Produced for the film's 20th Anniversary DVD from Anchor Bay, this featurette focuses on all aspects of the making of the film with director Fritz Kiersch taking the lead. He gives a lot of good information, but he sometimes just tells us the story of the film like he is trying to sell us the film. 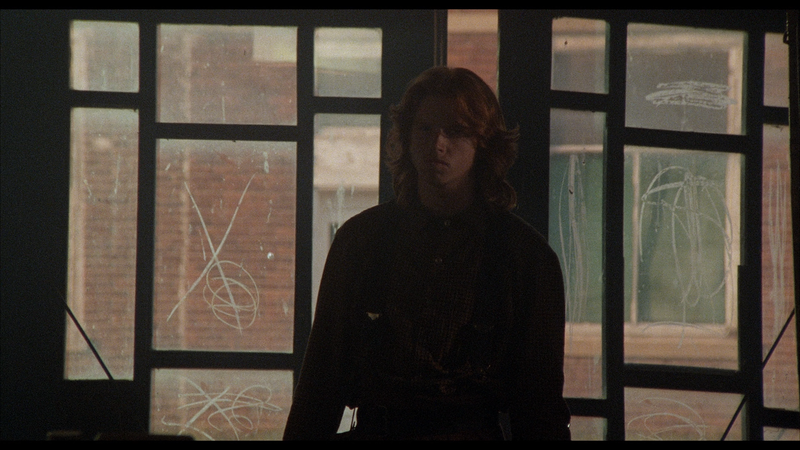 John Franklin, who played Isaac, and Courtney Gains, who plays Malachai are also on hand to give their two cents. Produced for the film's 25th Anniversary DVD and blu-ray releases, this is an interview with star Linda Hamilton. Hamilton talks about the film with an affection that not many have for their early horror films. She seems at bit uncomfortable in the beginning, repeating herself many times, but she warms up fairly quickly and offers many stories about her time on the film. This overly long featurette is one of the few things that Arrow produced solely for this release (can you blame them? There is already enough on this disc to fill a few special editions (which they did), so Arrow had their work cut out for them) and features interviews with Julie Maddalena and John Philbin, who play the priestess and new recruit respectively. An interview with a main character can only take 15 to 20 minutes, but here we have a nearly hour-long interview with two characters that are far removed from the main cast. This is not to say that these two actors, who are good in the film and seem like good people in real life, don't deserve an interview on this set, but one this long? No. They cover all of their bases in the first 10 minutes, but the interview keeps going. I wish that Arrow had cut this one down to exclude all of the footage that is not needed. Another Arrow produced interview, this time with the film's screenwriter, George Goldsmith. Goldsmith talks about his early years, teaching martial arts classes in order to follow his dream of being a screenwriter. He wrote the script for a film called Force Five (a great film), only to have it rewritten by the film's director, Robert Clouse. This made no difference as it helped get him the job of a screenwriter on Children of the Corn. He also recalls a conversation he had with Stephen King where King accused Goldsmith of not understanding how novels work, to which Goldsmith replied: "I don't think you know how films work." Goldsmith finishes the interview by saying, without a bitter tone, that the film killed his career. Anchor Bay produced this featurette that first appeared on their 25th Anniversary DVD and blu-ray, and features the film's producer Donald P. Borchers. Borchers talks about his work on the film and how they got a lot of stuff for free from the townspeople in the four small towns the film was shot in. Borchers seems not all that happy with the film as he says that he is in the middle of remaking the film and to make it a better film than the original. 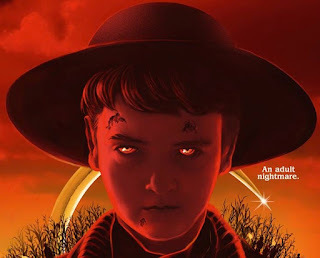 This is another Anchor Bay produced featurette, this time focusing on the film's production design, with an interview from Craig Stearns, and the film's music, with an interview with Jonathan Elias. 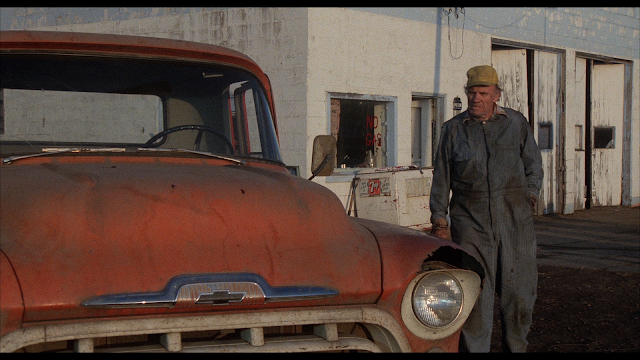 Both men enjoy their work on the film, with Stearns being giddy about how the film looks. This was Elias' first feature and he is also proud of the work that he did. 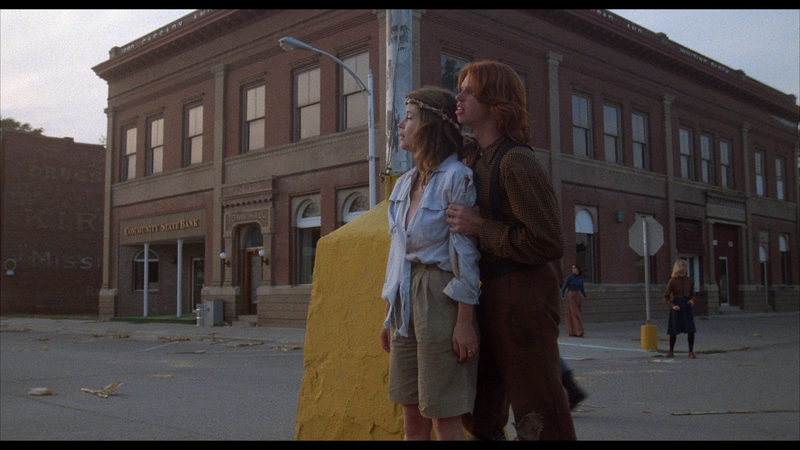 Here we have John Sullivan, who runs childrenofthecornmovie.com, and he takes us on a tour of the towns which played home to the film. Sullivan shows us just about everything that could be shown about the film, but he evens acts out scenes in the lots where the building for said scene used to be. While I am always a fan of people who love what they do, Sullivan comes off as smug and stuck up. This is by no means something to be taken as being mean or cruel, but it is something that I noticed while watching this. 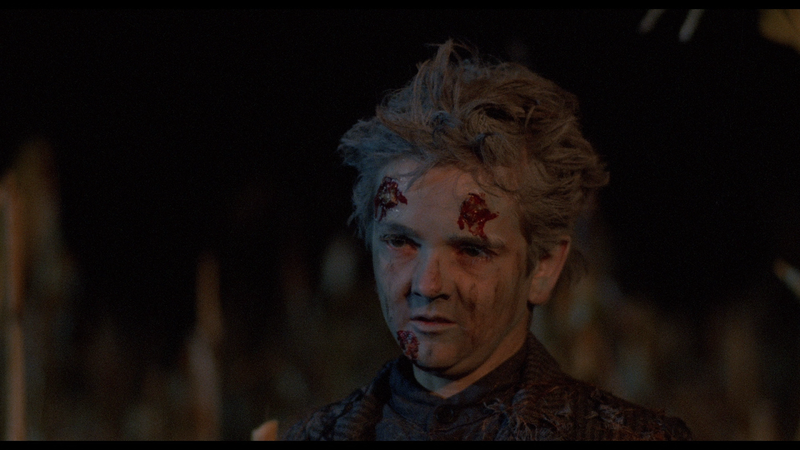 I would rather have had Sean Clarke, who did Horror's Hallowed Grounds, being our tour guide instead of Sullivan. 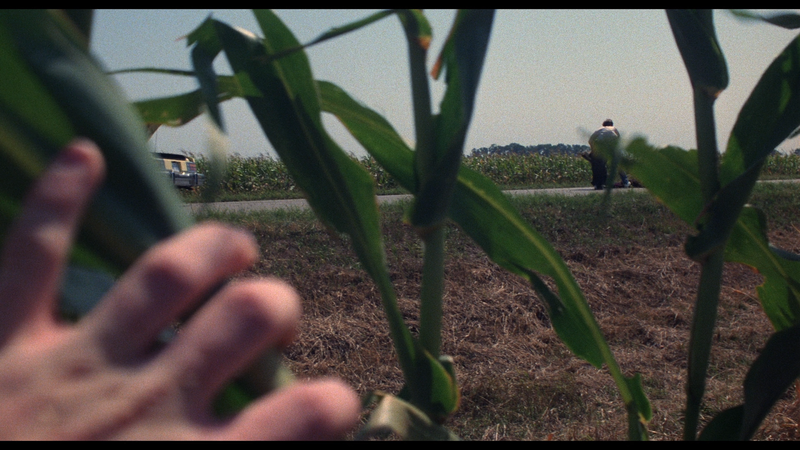 Another Anchor Bay featurette, here we meet Rich Kleinberg, who lived in one of the towns where Children of the Corn was shot. 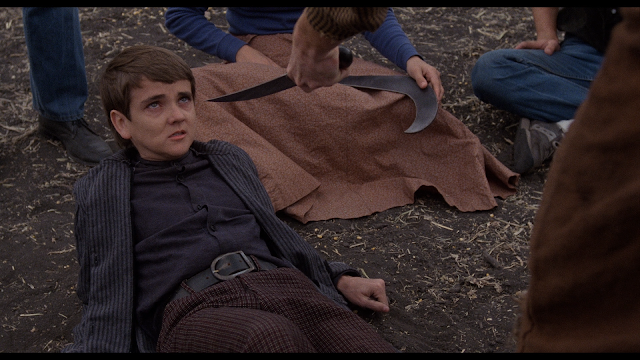 He was also supposed to be an actor in the film, but his scene, which was filmed, was cut out of the film. 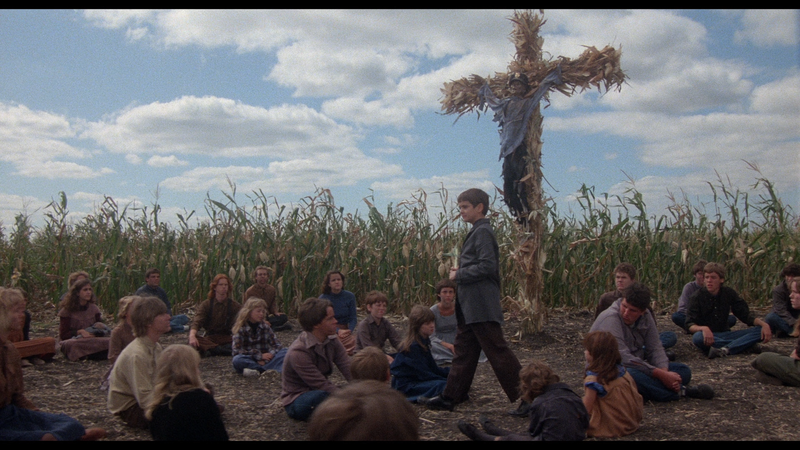 He played the "Blue Man" whose skeleton we see hanging in the cornfield. 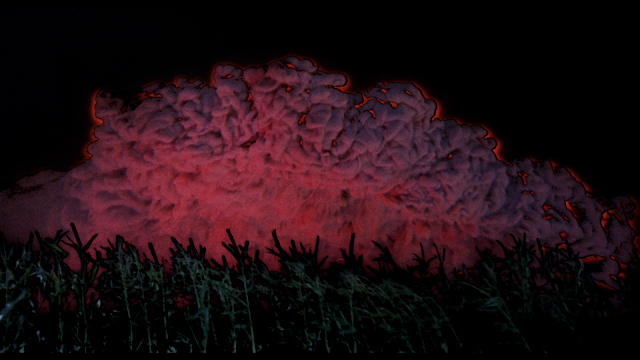 Kleinberg has a good sense of humor about the whole thing, but he wonders why he was cut out of the film only to have his scene featured prominently in promotional material for the film. Selections from the score play while behind the scenes, stills, and promotional materials for the film play. Stephen King has a thing called Dollar Babies, where you can student filmmakers can use one of King's stories (the ones that are not under contract to a studio or production house) to make a short film for use in class or to show potential jobs what that filmmaker can do. King has been doing this for a long time and even Frank Darabont used one of the dollar babies to film The Woman in the Room. 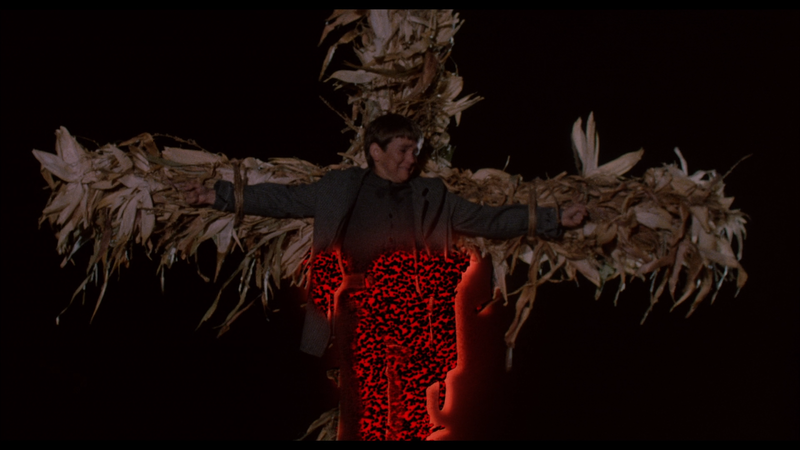 Disciples of the Crow was originally shot as The Children of the Corn before the rights were snatched up by New World Pictures. 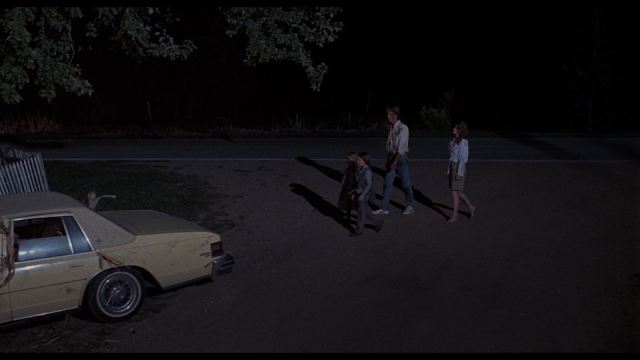 The film is an abridged version of the story with the kids killing the adults, the couple arriving in the town, the kids attacking the couple, and the couple escape. I liked this version of the story and found it to be a better film than the feature-length film. I liked the sparse dialogue, but the couple drove me crazy. 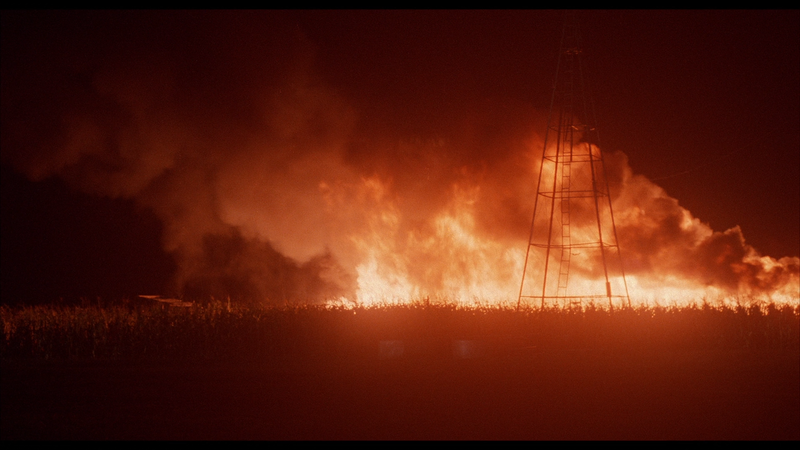 The filmmakers show that they have a good eye for composition, but the film isn't scary at all. That being said, this is worth a watch. As with a lot of Arrow Video blu-rays, I can not review the packaging as I only received a screener copy of the film. I do know that it will come with all of the usual Arrow Video bells and whistles, and will even include a double-sided poster. 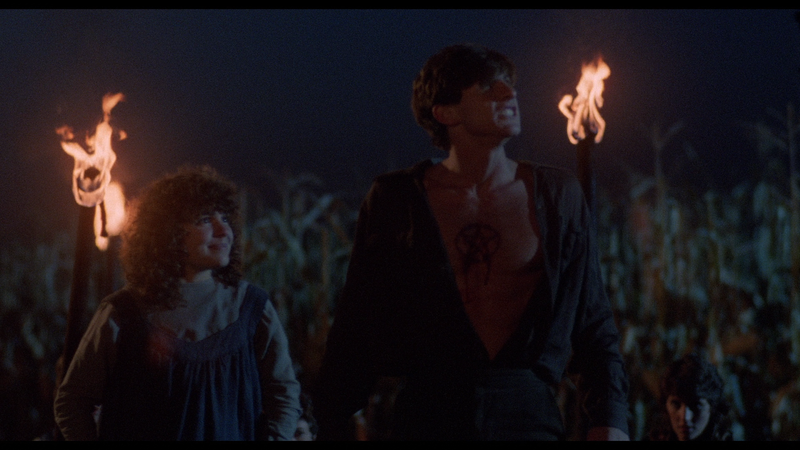 I have seen Children of the Corn a few times, but never on blu-ray, so this is a first for me. Let me tell you that this is the best that I have ever seen the film. The film's color palette isn't the widest in the world (the film sticks to earth tones throughout the film with yellow, orange, and red being the only colors that seep through. ), so the film is going to look a bit dingy. That being said, the colors do look accurate and appease the film very well. There is a layer of grain that is always welcome and reminds us that we are watching a film instead of some type of digital file. 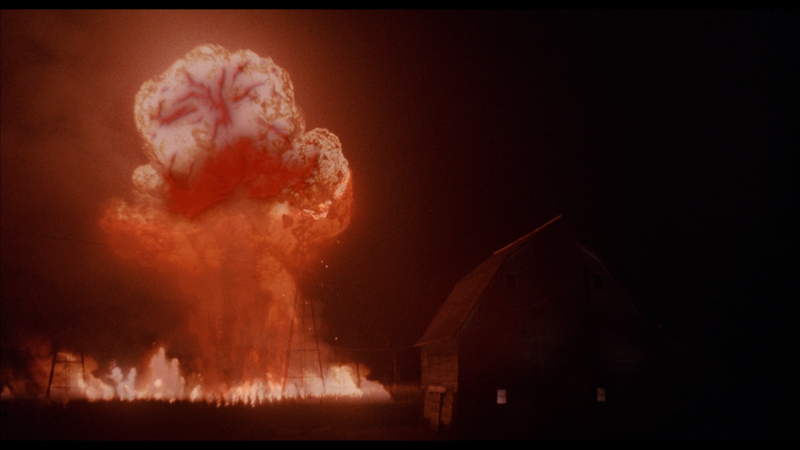 (Yes, I know that this is a digital file, but the transfer is from a film source.) 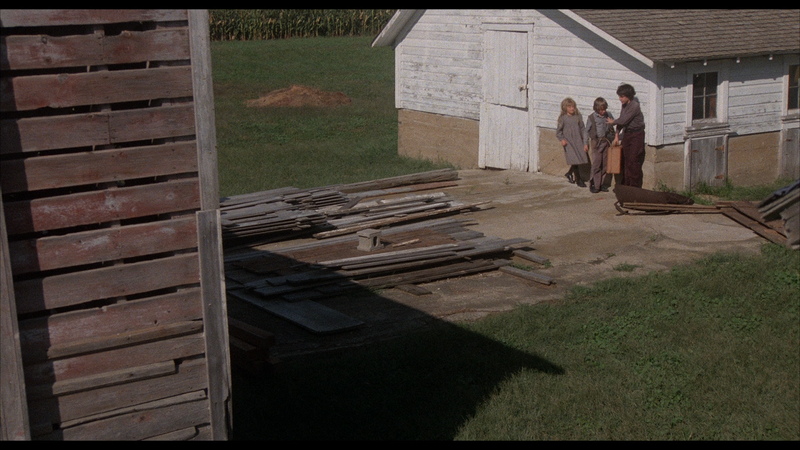 The transfer also brings an eerie atmosphere to the film, that I am sure has always been there, but has been utilized to this extent until now. Even though I didn't like the film, I can not deny the fact that Arrow gave this film a great transfer that stayed true to source material. 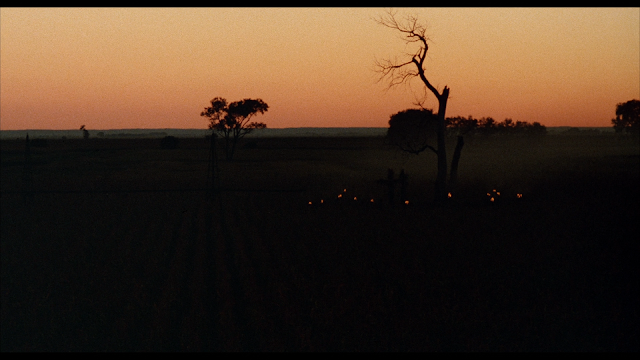 There are two options for sound: the film's original stereo track or a 5.1 track that pushes the surrounds all the way around instead of leaving them in the front. I always stay with a film's original track, so that is the one that I picked, and I think that Arrow did a really good job. Dialogue is crisp and clean and there are no distortions to the track. First things first: I do not like this film. I first saw it when I was younger and my mother wanted to watch it. I told her that I would watch it too and so we did. 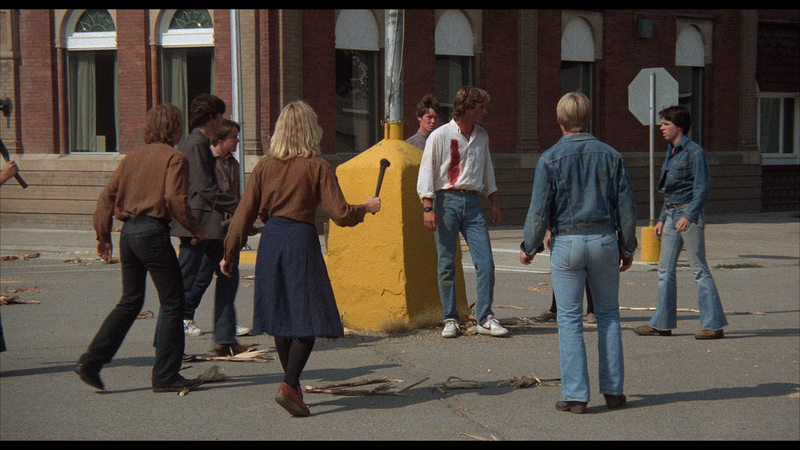 I remember sitting there thinking that the film was way too boring to be a horror film. My mother thought very much the same way and after the film was over, told me about the story that the film was based on and what was the same and what was different. That being said, I still do not like this film. 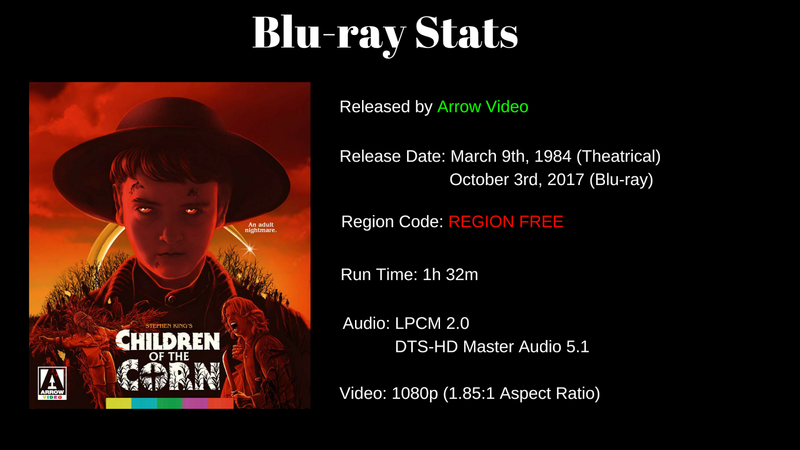 I know that there are people who do like it, it is getting a very nice release from Arrow Video, but I can not see why they like the film so passionately. The film moves at a snail's pace. We spend way too much time with the couple, played by Peter Horton and Linda Hamilton. We spend time with them driving and doing very much nothing. We then go with them through the town and so on. I know that this is supposed to add character development, but these characters could be blander. From what I understand, the couple in the original story are always fighting. While this would have gotten on many people's nerves (see The Disciples of the Crow above for more on that), but it would have given the characters something more to them. The film doesn't offer very much in the way of gore. We some blood splatter here and there, but there is nothing special about the kills in the film. The director, Fritz Kiersch, says in the special features on this disc, that he was trying to go for something that Hitchcock would have done. 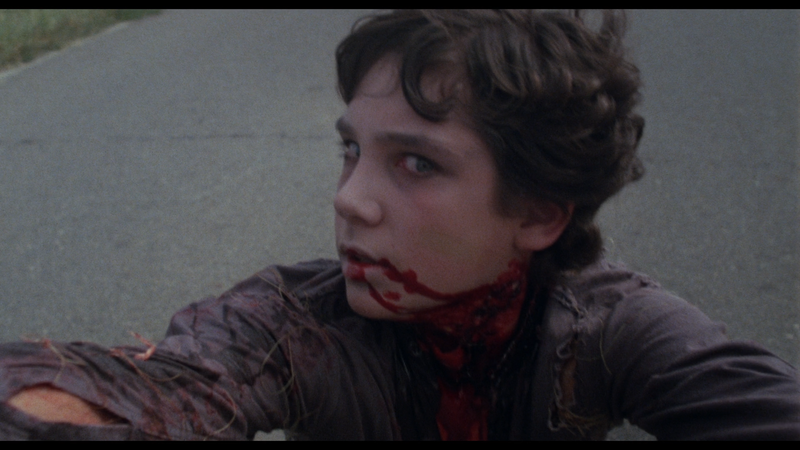 Keep the gore off-screen and in the imaginations of the audience. This would have worked if the film were better, but the film is not strong and any gore scenes would have helped the film tremendously. Even showing bits of gore here and there would have made the film more acceptable. We also have Courtney Gaines who plays Malachai, the second in command. Gaines is a method actor so he was able to get deep into the role. His role is that of enforcer, making sure that things get done when they need to get done or heads are going to role. His screaming of "Outlander" can send chills down the spine of the strongest person. Children of the Corn is a bad film. The writing, directing, effects, and music are not very good. 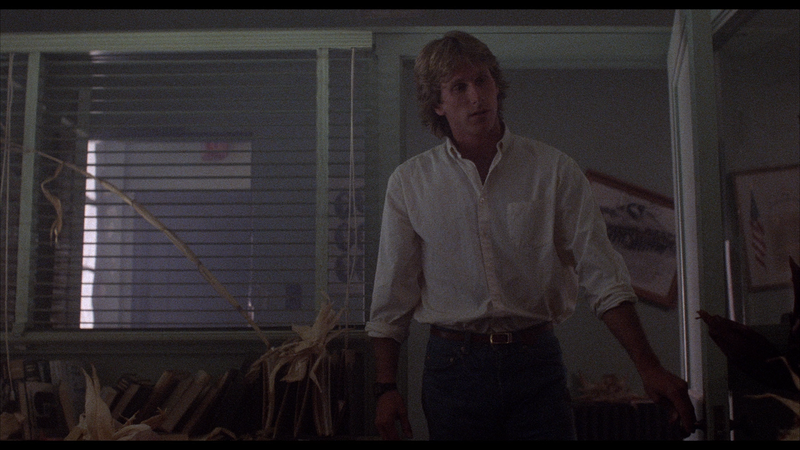 You can tell that this is the director's first feature because he plays it safe through the whole film. There is nothing shocking here at all (even in 1984 the thought of a child or group of children killing was not all that shocking as there had been films and books before that tackle that subject.) and the film is just bland as hell. You could take out some of the cursing and this film could show on network tv, no problem. Children of the Corn is the white bread of the horror genre: bland and forgetful. 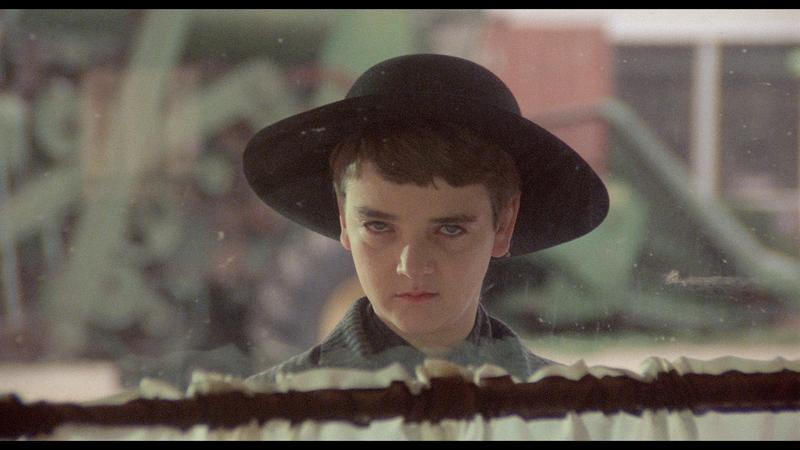 Children of the Corn is a cult classic that many love, but I can't stand. Outside of the some of the performances, there is not much to like. 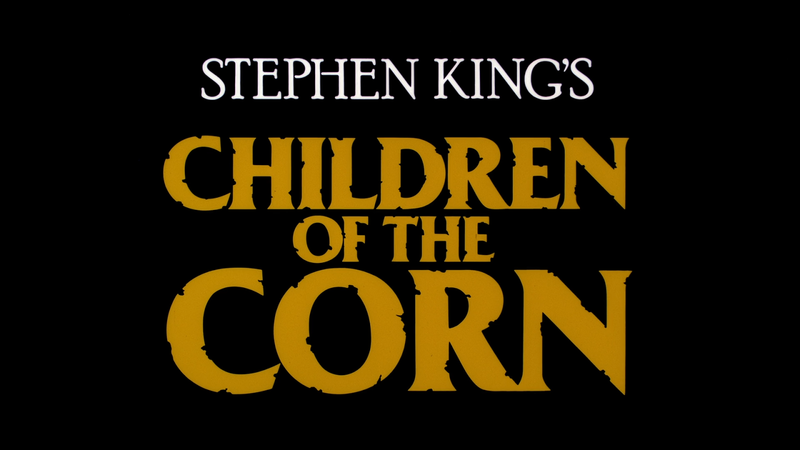 Almost everything about this film is poor, from the directing to the writing, and I don't think that it holds up at all next to some other King classics like Carrie or even Creepshow 2. 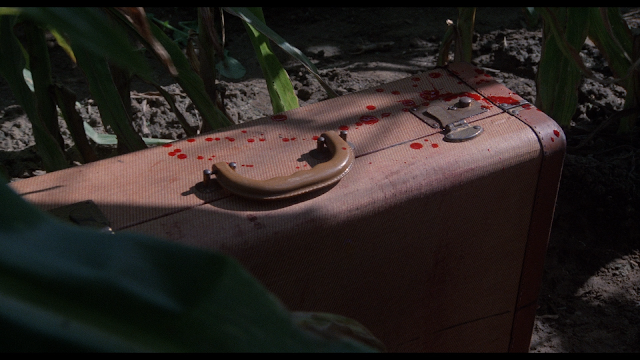 The blu-ray from Arrow is nice. The A/V quality is their usual excellent and the special features are all now in one place instead of having multiple discs for everything. I would recommend this to those who are curious about the film or King completists. CHECK OUT PAGE 2 FOR MORE SCREENSHOTS! BE WARNED THAT THEY MAY CONTAIN SPOILERS! !